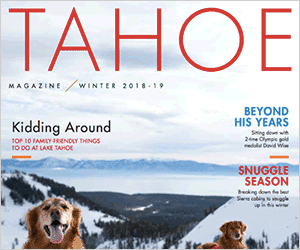 Recently I read the Sierra Sun opinion column, “Lake Tahoe is in need of progressive change — and soon,” dated May 30 about the need for progressive change in our region. I could not agree more. Many of the issues mentioned by Heidi Hill Drum (of the Tahoe Prosperity Center) and Darcie Goodman Collins (of the League to Save Lake Tahoe) apply to the Village at Squaw Valley redevelopment project. I support well-designed and thought out redevelopment. I believe the Village at Squaw Valley project is a plan we as a community should support. Over 90 percent of the Village is in-fill redevelopment on existing asphalt parking lots. That asphalt is the first “filter” for water going into the Squaw Valley aquifer — certainly we can do better than that. The Village plan includes installation of best management practices that will begin to treat stormwater from the minute it hits the roofs. New wells in Squaw Valley will ensure reliable water supplies, the rehabilitation of Squaw Creek is a great idea, and the park and bike trails are needed amenities we’ll all enjoy. While we might not agree on how many lodging units is the correct number, we should support new, updated, energy-efficient lodging that will attract visitors — those same visitors many of us are dependent upon for our livelihood. I think most of us would agree that the significant investment in transit and transportation improvements promised with the new Village works toward a new way to experience our region. Not any one redevelopment will solve our transit woes, but each and every improvement will help. I’ve watched the changes in the plan over the years it’s been in the process, and I think we’re now at a place that’s just about right for our region. I urge the Planning Commission and the Board of Supervisors to approve the Village at Squaw Valley and move it forward. It’s time to accelerate environmental redevelopment and understand the status quo is threatening the viability of our future. Alex Mourelatos is a Tahoe Vista resident and partner at Mourelatos Lakeshore Resort, and someone who considers himself a champion for responsible redevelopment in our region.